How Good is WPX Hosting (formerly Traffic Planet)? WPX Hosting is a hosting service that specializes in some of the fastest hosting speeds clocked. Plans start at $24.99 month, which is a bit pricey for some users, but this plan covers the hosting for up to five websites. Compared to higher priced hosts, you get a lot for your money here! Traffic Planet is focused on users that run WordPress websites and are looking to get a service that is more streamlined for this type of website. They are offering speed to their users since they have this focus on WordPress. 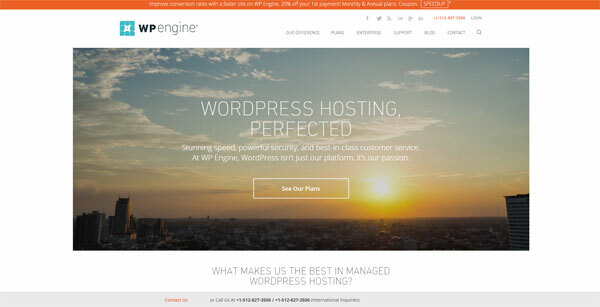 WPX Hosting targets WordPress users and attracts them by the speeds that they can offer. Their speed in combination with their customer service seems to be what keeps people flocking to use their hosting service. Want to know more about their service? Keep reading for more insights. This is an editorial review based on users experiences from online reviews. When you go about making your final decision, you should also read over the reviews that you can find along with the details on their website. These are the features that users absolutely love about WPX Hosting. The majority of user reviews note that their website speeds have increased from the previous hosting they had been using. In the now mindset that many people tend to have today, that can be really important in how well your website will do when it comes to keeping clicks you’ve attracted to your site. 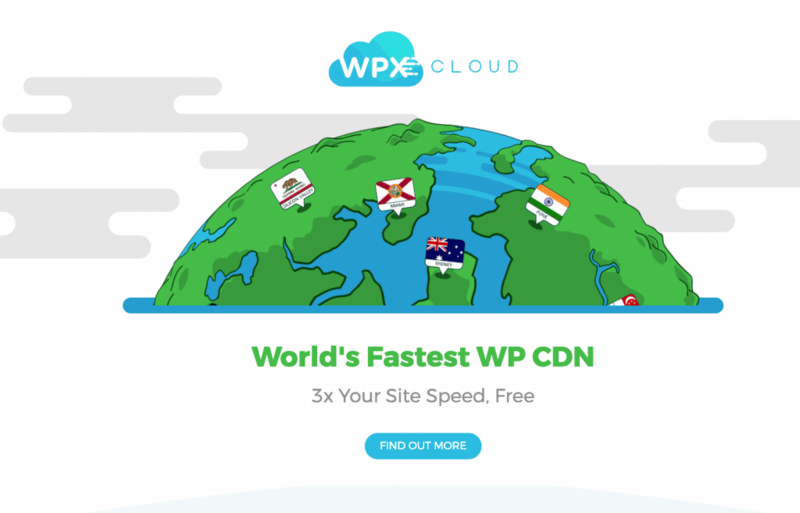 They even have the world’s fastest WordPress CDN, with up to 3x your site speed. This was probably the second favorite feature that users rave about for this service. They are very pleased with how quickly tickets are answered after they are sent in. They’ll even fix malware that may attack your site! Other services often allow users only to have one website for their basic plan, and then the price increases quite a bit for plans that will cover hosting for several websites. With WPX Hosting, you will be able to host five websites on their basic plan. Their professional plan will cover up to 15, and their elite will cover up to 35. Are you an affiliate marketer, or someone that just loves to crank out new sites? Then go with WPX! One of the things that typically keeps a person with the same hosting service is that they don’t want to worry about doing the migration from one server to another. Trust us, this is a pain in the A! This is not an issue with WPX Hosting. They handle your site migration for free, and will have it done in about 24 hours. Some users reported it was done even sooner than that for their sites. They keep two weeks worth of daily backups of your website. If something goes wrong, they will restore it to the backup without a charge. The interface that they have installed for users to manage their websites is very easy to use. This can be a plus for people that are still learning. WPX does not restrict you when it comes to content management systems as some other hosts that focus on WordPress will, so this hosting service can be used for other content management systems beyond WordPress. This can be helpful if you already have different systems in use. 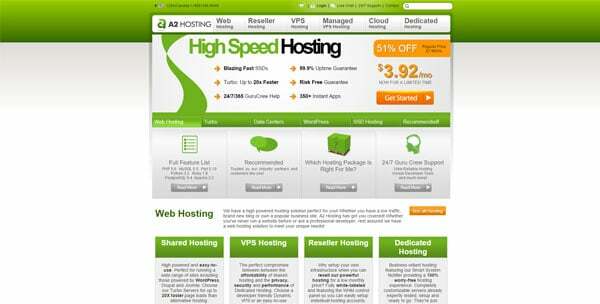 Now, although there is a lot of positive reviews for this hosting service, it is not a 100 percent perfect. As with any company, users are going to have some things that they would like to see improved or changed. There are just a few for WPX Hosting. The lowest plan is the business plan, and it will cost you $24.99 a month. 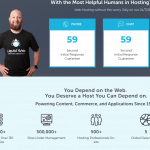 This is not too bad compared to some competitors considering it comes with hosting for up to five websites, but for someone with a much simpler website not requiring a lot of speed, there are some hosting services that are not as expensive. Some users feel that the more expensive competitors do have an edge over WPX Hosting in that they offer more interface features for your website. The bottom line on WPX Hosting is that it seems pretty hard to even find a lot of unsatisfied users with this service. The overall vibe for this hosting service is very positive. Users love how quickly support gets back to them, and many report much quicker speeds on their sites after migrating over. The price point may be a bit high for someone with a more simple website that is just looking for an online presence, but users with more than one website will love the saving they can see on a monthly basis with this host. 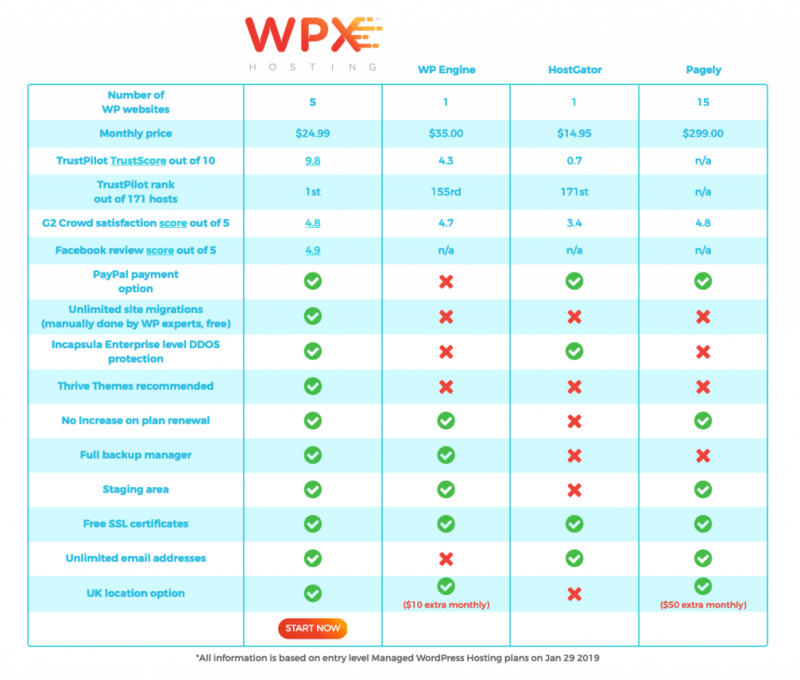 WPX Hosting is often compared to hosting heavyweight WP Engine, big-brand HostGator, and high-touch Pagely. How does it compare? What we like WPX for most is their focus on speed, customer service, and features, while still offering affordable rates for multi-site owners.